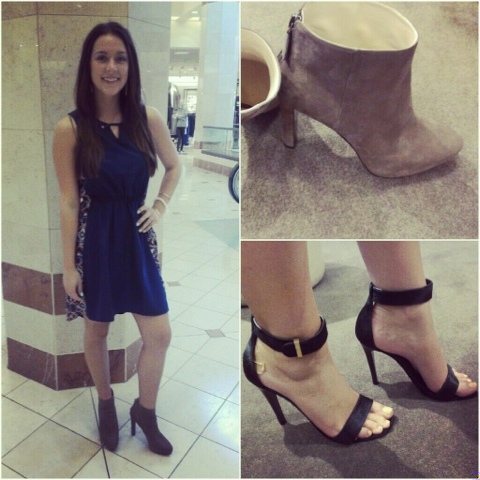 A Day in the Life of a Nordstrom Intern: Social Media is a MUST! Social media is such a huge part of today's world. I don't know one person who doesn't check either Facebook, Instagram, Pinterest, or Twitter at least one to three times a day. Because it is so big in today's world, it should be incorporated in every company. Nordstrom has been working hard to stay on top of everything with social media, as well as, all the latest technologies. I believe that if you aren't utilizing social medias to your best interest then you are losing that connection with your customer. I know from my own experience I love to see what new trends are out, who's styling them how, and where I can get them. What better way to show your customer that than by updating your social medias often and also making them interactive. Nordstrom does pretty well updating their social medias and definitely stays on top of things with new technologies. There are a few areas that could be improved though. I know one thing that works in my department is sending out emails to our customer about trends that week and what are the must have items. My department manager and I try to take pictures everyday to send out to customers getting them excited for what's coming up and also a few different ways to style that item. It really does make a difference when you keep social medias updated and make them fun and entertaining for your customer.